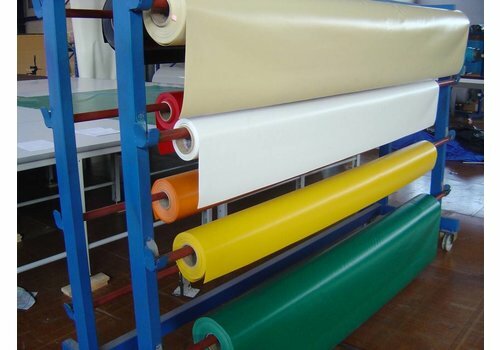 PVC/polyester tarp 650 gr/m² of the roll. Roll width 2.50 m. No edge finishing. 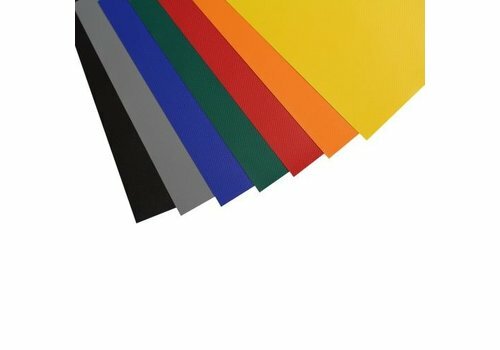 Various 'glossy' colours (for 'matte' colours, see PVC 600 gr/m²). This product is folded for transport. Shipping as a role on request. Are you a creative person, use your imagination! 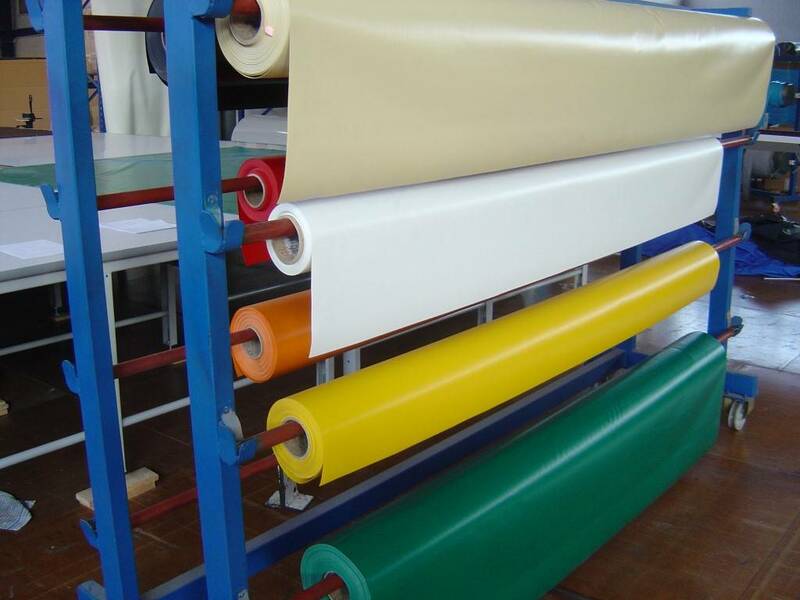 PVC/polyester tarp is a very strong, UV resistant and waterproof material and is ideal for DIY purposes. It is easy to cut, to weld or glue, and to print of paint. 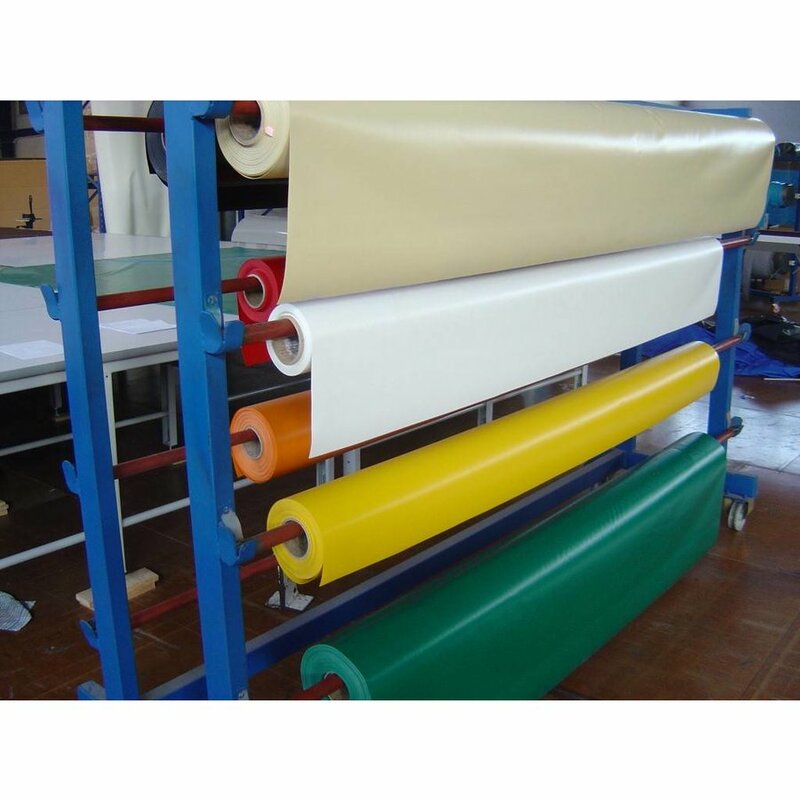 PVC/polyester tarp 600 gr/m² of the roll.